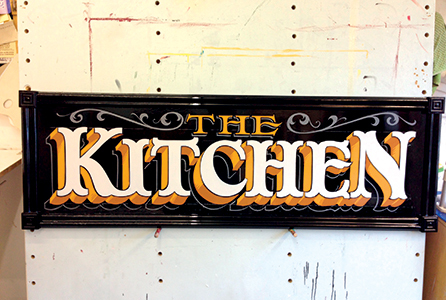 Traditional Signwriting is still alive and well at Cardiff Signs! Though the call for Traditional Signage is on the decline, we know there is still a window for this highly skilled art, that’s why we have an amazing sign artisan able to splash colour on just about anything. We can do window splashes, gold leaf, murals, historic sign restoration, special projects + more! Have a idea you want to see come to life? Get a free no obligation quote to find out how we can make you business stand out.